Sign up below for Carolina Panthers tickets and travel package information with PRIMESPORT, the Official Sponsors and Sports Travel Provider of the Carolina Panthers. Your Panthers will take on the Tampa Bay Buccaneers in London in 2019. Take your Panthers pride to the next level this season with an Official Panthers Fan Package from PRIMESPORT. 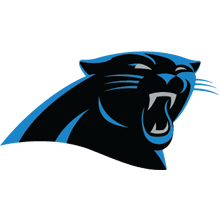 Sign up for Carolina Panthers game information! Panthers fans can join us at Bank of America Stadium in Charlotte for any game on the 2019 Panthers schedule with an Official Carolina Panthers ticket package from PRIMESPORT. If you've been looking to buy Panthers tickets online, but wanted a little something extra to complete the gameday experience, our Official packages include access to hospitality at the Panther Pregame Party to go along with your Panthers tickets. The Official Pregame Party is the ultimate tailgate setup, including food, beverage, entertainment, and special guest appearances! If you require more than just Carolina Panthers tickets and a premium tailgate experience to satisfy your gameday needs, PRIMESPORT and the Panthers have also teamed up to offer a selection of Official Hotel Packages for select home and away games. With two-night hotel stays at local properties and official souvenirs, in addition to Panthers game tickets and pregame party access, these travel packages have everything you need to enjoy some time away from home while supporting the Carolina Panthers. PRIMESPORT is the Official Sponsors and Sports Travel Provider of the Carolina Panthers. The terms NFL® and Super Bowl® are trademarks of the National Football League. PRIMESPORT is a division of On Location Experiences.